Toxins get a bad rep.
We all know that in order to be healthy we should do things to Detox the body. Detoxes come in all shapes and forms with some being as extreme as week long juice cleanses to things as simple as making sure to drink 8 glasses of water a day. By definition a toxin is, “ is a poisonous substance produced within living cells or organisms,” (Wikipedia) which means that our own bodies are actually what produce toxins. We produce toxins when our cells break down unnatural or unhealthy substances we put into our body.–Meaning it isn’t the toxin that is bad, but rather it’s precursor. Therefore, the best way to detox is to refrain from putting unhealthy substances into our own bodies. That being said, even the healthiest food has waste product associated with it as our bodies break it down to absorb the food’s nutrients. Therefore, rather than do an extreme form of detox; I’m a fan of doing the daily things I can do to detox the body. That’s where water, exercise, and yoga come in. Drinking water increases the effectiveness of our kidneys. They are then transported to the kidneys and disposed of through our urine. This is the first step you can take daily to detox the body. The next step would be to sweat. As we sweat, we release fluid through the pores in our skin to help cool the body. This releases of fluid also cleanses our skin, the more we sweat, the more water flushes through our pores flushing away toxins and waste products stored. 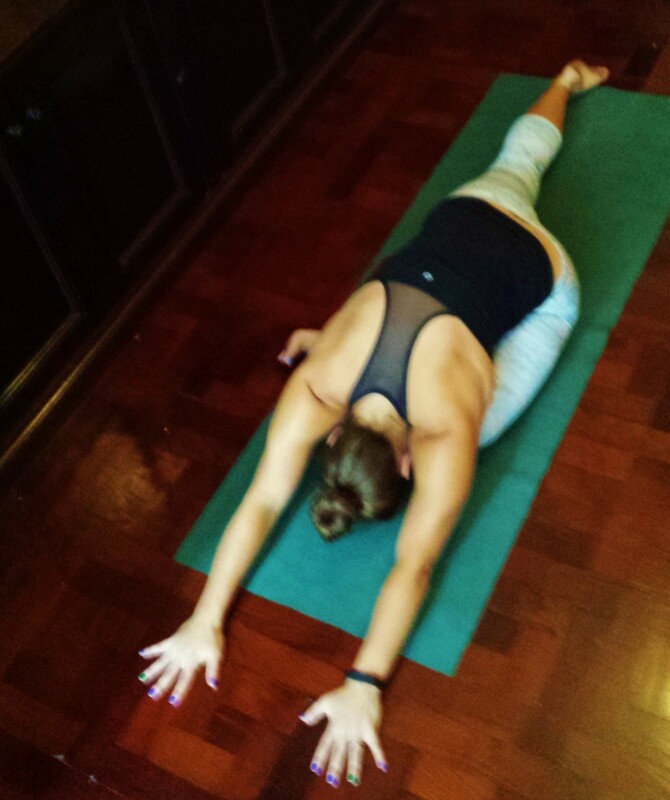 Many say hot yoga is a great detox and in part that is because it encourages us to drink more water and if you’ve ever taken a hot yoga class you know you walk out of class drenched from head to toe. Similar effects can come from running and strength training assuming you push yourself hard enough to work up a good sweat, but there is one more avenue in which yoga helps detox the body daily that running and strength training don’t. Yoga helps rid the body of toxins stored in your joints. Immobility of a joint causes stiffness and therefore storage of toxins in 2 major ways. Yoga postures on the other hand compress, stretch, and twist joints in a safe way increasing the production of functionality of fibroblasts as well as transforming your synovial fluid from a gel to a more fluid material. Here’s a little more detail on these 2 effects of yoga on our joints. 1. 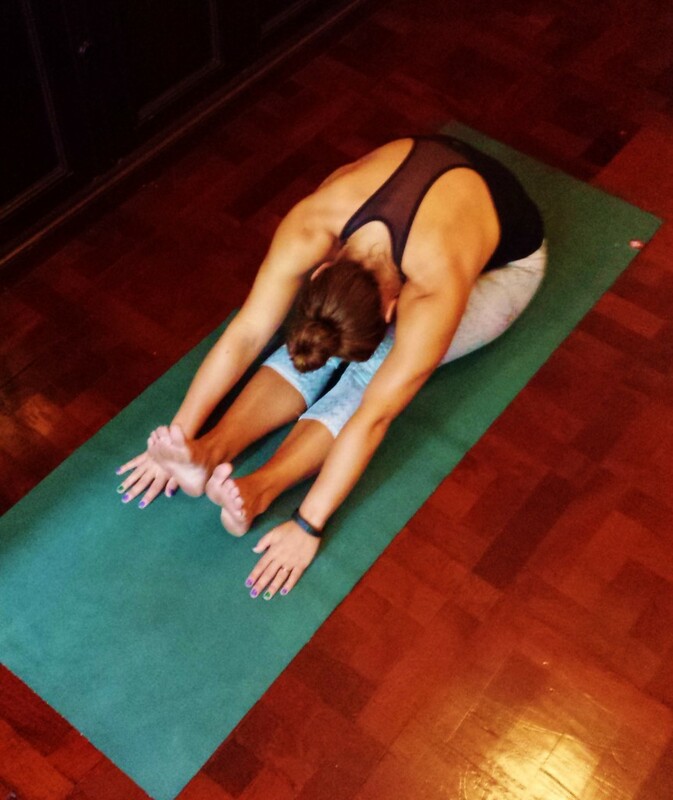 Yoga helps decrease the toxins stored in the joint by making the joint less cluttered and dense, thus healthier. Joints just like muscles and bones break down and rebuild themselves in response to stress. Whereas bones have osteoblasts to rebuild stressed bone stronger, joints have cells called fibroblasts. In active states, fibroblasts produce collagen and elastic fibers that align locally usually in parallel clusters increasing joint functionality as well as allowing room for for fluid to flow through cleansing the joint. In inactive or damaged states, fibroblasts become their inactive state, fibrocytes, as well as begin mitosis (the division of 1 cell into 2 cells). Fibrocytes are smaller and spindle shaped. As they form and divide, the parallel structure of the cell breaks down leaving less room for the flow of liquid material through the joint, therefore toxins stay trapped in the joint. 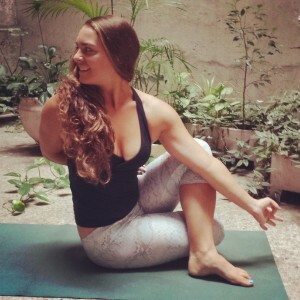 Yoga stresses the joint allowing for proper stimulation of fibroblasts to keep them functioning properly and from becoming their inactive form, fibrocytes. 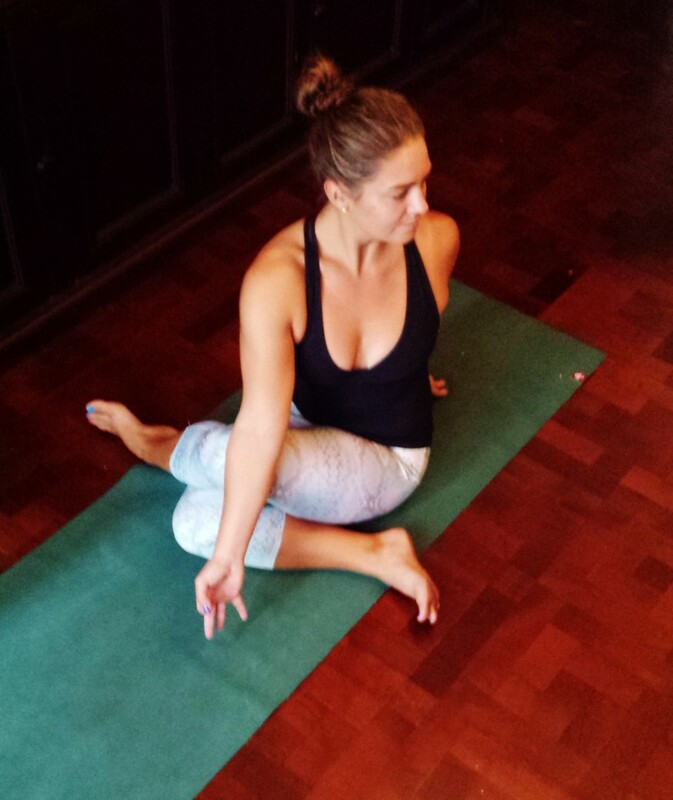 The 2nd way Yoga aids in the detoxification of joints is by making the fluid capsule inside the joint more liquid. In an unstressed state, the fluid capsule between 2 bones is more like a gel. As the capsule is compressed this synovial fluid begins to transform from a gel like substance to a liquid like substance to lubricate the joint to aid in movement. You may feel this effect in the morning as knees and ankles can often be stiff until you’ve had the time to walk around properly allow the joint to warm up, you don’t want to have to wear a Zenith ankle brace around. Imagine you’ve poured out bacon grease into your sink. It’s cooled and solidified forming a gel like substance over the drain. If you pour cold water, some might trickle through, but you’ll have a blockage. This is similar to the movement of fluid through a joint. When synovial fluid is in it’s gel-like state plasma is unable to flow through the joint to cleanse it of toxins, however a stressed joint will have liquified this synovial fluid allowing movement through the joint. Obviously, running and other forms of exercise like strength training work the larger joints such as the knees and ankles, but very few movements work the smaller, less used joints such as the hips and spinal column. The hips and lower back particularly are areas where most people are stiff and therefore are storing the most toxins. The harder a posture is for you, the more you need it. If you’re not drawn to yoga, I’m not saying you need to give up your favorite form of exercise because as I said before sweating is one way to detox the body. However, yoga detoxes areas of the body other exercise can’t so it’s important to include yoga in addition to anything else you are doing. Here are some postures you could add to your daily routine to help open up and detox your joints. These are yin postures as yin yoga works deep into the joint rather than just stretching the muscle. Work to hold these postures for 1-2 minutes building up to 5+ minutes. With every inhale envision energy rising through the spine helping you create space. Try to elongate your inhalations for at least a count of 4. 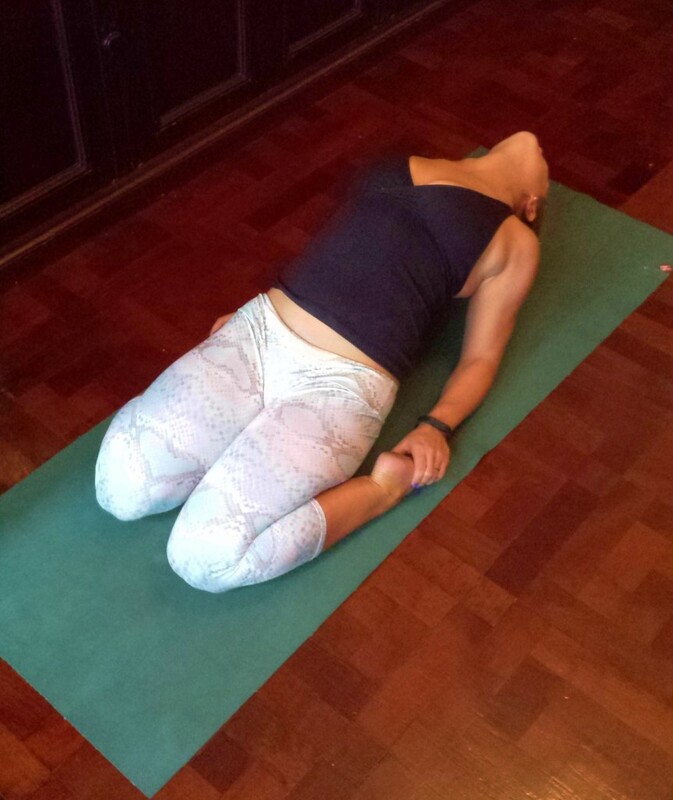 With that extra space you’ve created with your inhale, your exhalations should feel relaxing allowing you to move deeper into the posture. Make your exhales just as long as your inhales if not longer making sure to completely inflate the lungs with every inhale and completely deflate the lungs with every exhale. These postures are best done in the morning before your muscles have warmed up so that you can actually work deep into the joint, but if you only have time at night while watching TV that is better than nothing! Saddle is a great hip flexor stretch as well as lumbar spine opener. Shoelace with a twist works both the hips joint and spinal column. Make sure to do both sides! Caterpillar stressed spinal ligaments as well as stimulates the kidneys. 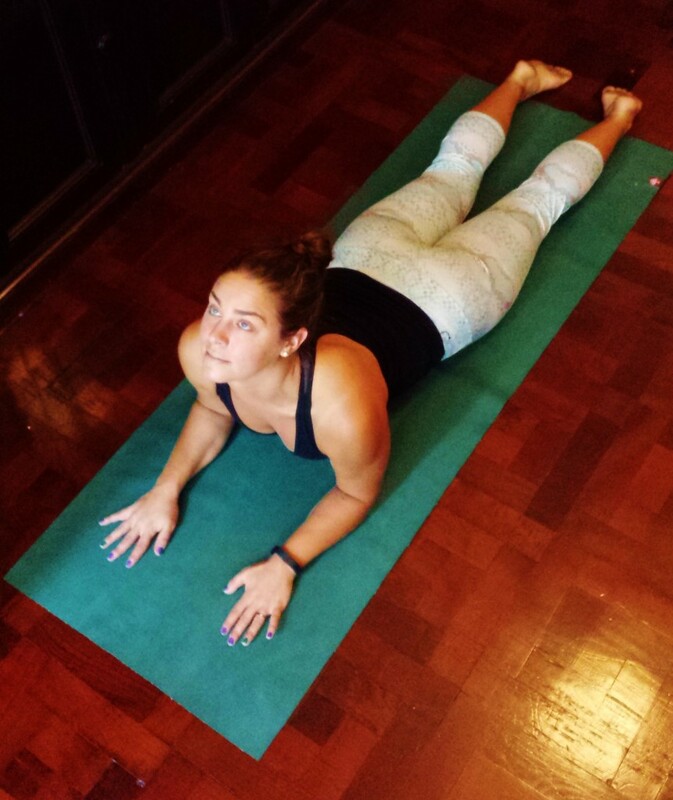 Frog opens up the adductors, deep muscles of the groin as well as stimulates the lower and upper back. 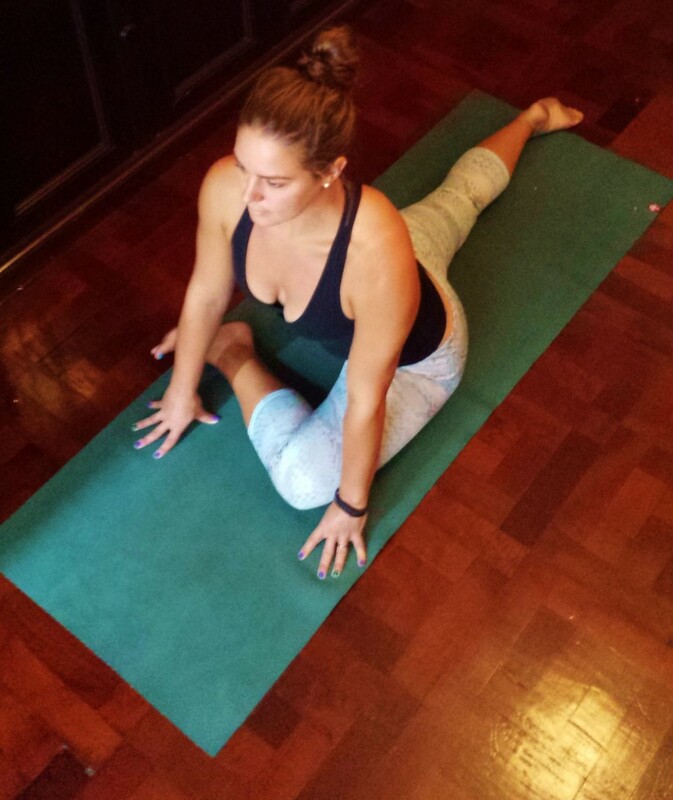 Swan (The yin name for pigeon) is a deep external rotator of the hip, as well as a good quad stretch. Sleeping Swan (Swan is the yin name, similar to Pigeon) is a deeper version of Swan. If you don’t do yoga, what’s keeping you from trying? Word count: 607 Draft saved at 11:09:05 am.